ARA Asset Management to have full ownership of Cache Logistics Trust (CACHE)’s trust management and property managers. To benefit from a greater alignment of interest and leveraging on ARA’s network. Operations-wise, lower renewal risk along with clarity over the CWT Commodity Hub conversion. Maintain HOLD with unchanged DDM-based Target Price of S$0.80. Cache Logistics Trust announced that ARA Asset Management has entered into an agreement with CWT to purchase the remaining 40% of ARA-CWT Trust Management (Cache) Ltd, the trust manager, and 60% of Cache Property Management Pte Ltd, the property manager. Pricing details of the transactions have not been revealed. Post purchases, ARA Asset Management will own 100% of the trust and property managers. Following the completion of the sale, the right of first refusal granted by CWT to Cache would also expire. We see the consolidation of ownership and decision-making as positive for CACHE. Over the past 3 years, the trust has embarked on a portfolio rebalancing and growth strategy, particularly in Australia. With a greater alignment of interest with ARA, we believe the trust would continue to be able to tap into ARA’s expanding presence and network in the Asia-Pacific region. In addition, the amalgamated interest in the property manager would also ensure good continuity in the management of CACHE’s properties. In terms of operations, confirmation of the expiry of the master lease at CWT Commodity Hub in Apr 18 and clarity over the potential impact of conversion into a multi-tenanted building should lend some stability to the Cache Logistics Trust's share price. Management guided that the gross average rental from the underlying leases should yield similar income as the master rent, although we think there may be some shortfall from lower space efficiency and the current vacancy of 14%. It has also reduced lease expiries to 6.7% of portfolio NLA due for the remainder of FY18. We maintain our HOLD recommendation and DDM-based Target Price of S$0.80 given the limited near-term DPU growth. 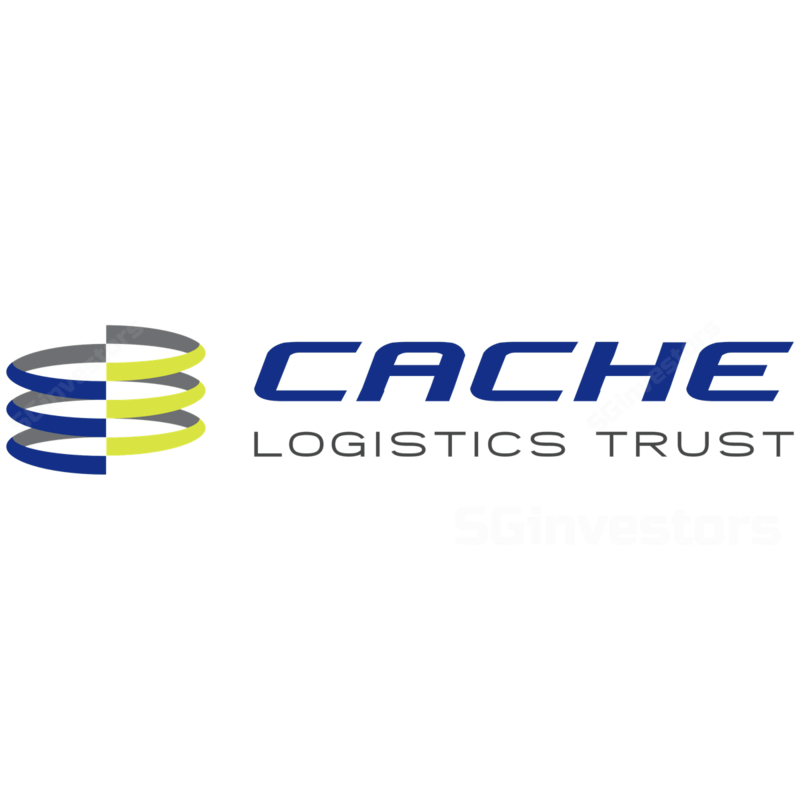 Upside risk could come from new acquisitions given Cache’s lower gearing of 35.3% post divestment of Hi-Speed Logistics Centre or distribution of the S$2.1m (0.19 Scts/unit) of rental top-up retained (in relation to Schenker). Downside risks include slower than expected occupation of the vacant space at CWT Commodity Hub.